Have you wondered if you can ‘Marie Kondo’ your files and business? Organising guru Marie Kondo’s tips to “spark joy” through decluttering have become life-changing for many. Her theory, known as the KonMari Method is simple, ask yourself if your objects bring you joy and happiness. If the answer is no, you acknowledge its previous use and importance, and then you let it go. In her book, The Life-Changing Magic of Tidying Up, Kondo says, “My basic principle for sorting papers is to throw them all away.” Realistically, in a business, it’s not that simple. When it comes to your business, the easiest solution is not to throw documents in the rubbish bin or put them through a shredder. Even if you decide to purge your old files, sorting through boxes and boxes of archived files deciding what to keep and what to ditch, will be a draining and inefficient use of business time. Many of your files are important; you may have customer information, staff records, bills, tax papers, account information, and much more. Throwing away crucial documents is simply not an option for Australian businesses. The ATO requires businesses to keep account information for at least five years in most cases. Many businesses need to store compliance records for even longer. While the idea of ridding your office space of folders and drawers full of old documents may bring you joy, often the comfortable reliance on paper records is too great to force a change, and soon the clutter will return. That’s where Info-Organiser software could be your best solution. Keeping a digital record of all your files and emails can revolutionise the way office spaces stay organised and maintain important records as easily accessible and secure pdf files. If you struggle to purge documents, or you want to have them for safe-keeping, Info-Organiser document management will be your new best friend. EASY STORAGE: Info-Organiser digitally stores all of your files pdf’s, emails or documents, easily accessible whenever you need them. You can refine your search parameters to be as broad or narrow as you like to ensure every time you go looking for something, you will always be able to find it fast. 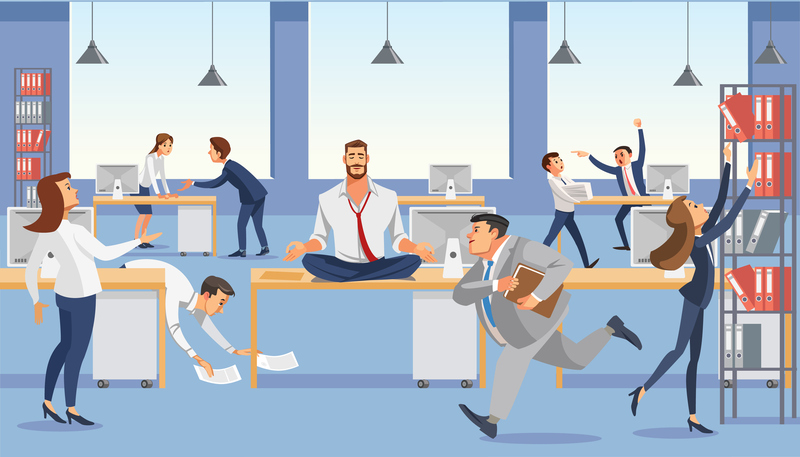 HAPPIER WORKING ENVIRONMENT: By choosing Info-Organiser to rid your office of paper records you will make your physical work environment more peaceful. Your staff will all have quick and easy access to anything they would need, you’ll be able to provide better, faster customer service, and you’ll be more productive overall. Info-Organiser is so easy to use, you’ll be seeing a return on time saved within the first hour. SECURITY: You can rest easy knowing that your important information and emails are securely stored in the cloud or on your computer – or both. You’ll also feel better knowing your files are safe from fire, theft, flood or loss. FREE UP SPACE: There is something that feels almost claustrophobic about messy office spaces, filled to the brim with stacks of paper, boxes and filing cabinets. With Info-Organiser, you’ll be able to de-clutter your environment and feel confident knowing you have complete control and more space to move. You can even set virtual digital destruction dates so that your Info-Organiser database stays decluttered too. Applying Marie Kondo’s theories to your files may be realistic for your home environment, but there are more efficient solutions for your business and office space. You cannot simply purge your entire office of all your files to bring happiness into the working environment. For compliance and security, you need a practical solution that brings freedom to your space and your people. Info-Organiser’s easy-to-use, secure, and digital storage system provides the perfect happy medium that is guaranteed to “spark joy” by caring for your office space and organising your files once and for all.